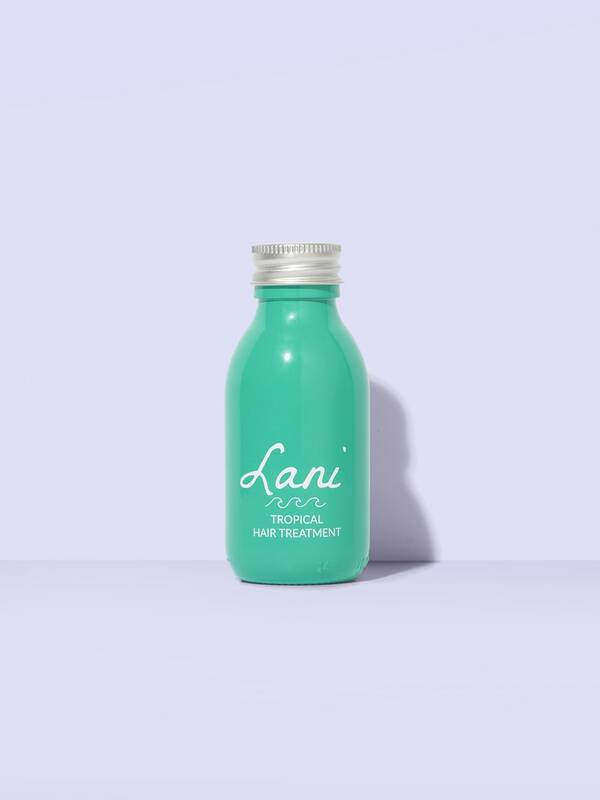 Tropical Hair Treatment - Lani - Tropical. Natural. Vegan - Cruelty-free hair and beauty products. 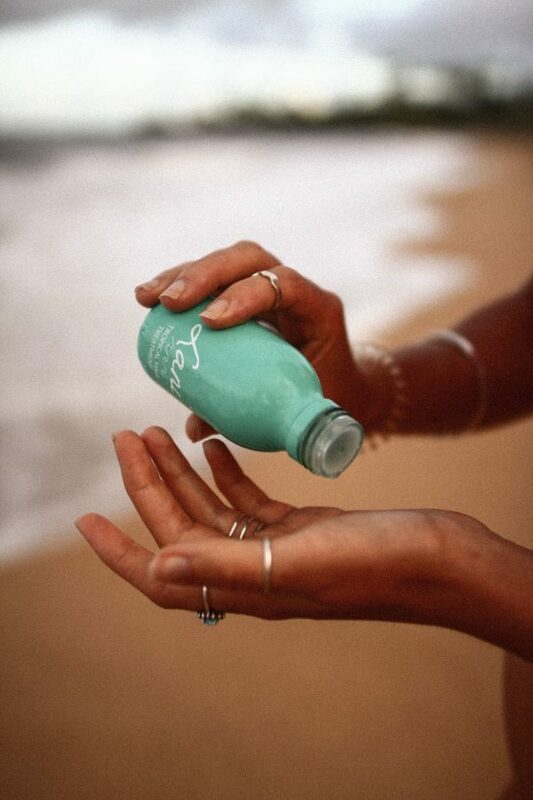 Ultra rich and intensively conditioning, our famous turquoise bottle is a true multi-use hair saviour. Over-worked locks are strenghtened, moisture and shine are replenished and each strand is enveloped in a protective veil that helps ward against styling damages. It leaves your hair incredibly shiny, smooth and full of bounce from the first use. It’s so good, you’ll wish you tried it sooner! Love this product after one use of it I could see a difference in my hair it felt lighter, softer and easier to manage. It also works great on a eczema prone scalp nothing has worked as well as this did. Can not wait to try your other products. I really like it 🙂 I was looking for a hair treatment which leaves my hair soft and shiny. It definitely does and I am so happy I found this hair treatment. But most importantly my hair is not oily like so many treatments. Thanks Lani. Amazing stuff! A little bit goes a long way, and it makes my hair so soft and luscious! After only on use I was receiving compliments on how healthy my hair looks! I’m so happy. Delivery was fast as well. I’m very happy withy purchase and will be back! Can’t wait to try the rest of the products! Dying my hair blonde for over 10 years has left it pretty dry and damaged, but this is one of the best treatments I’ve used to bring moisture and shine back! I use this as a leave-in treatment after I get out of the shower, and it’s really helped to tame the usual frizziness and dry texture of my hair. Putting this oil too close to my roots does make it feel a bit greasy (so if you have thin hair it may be a bit heavy for you), but I try to focus mainly on the mid-to-ends. A little goes a very long way, and it smells heavenly which is also a plus! I have a lot of hair and a little goes a long way with this product! I love the smell and I love the feeling of my hair after using. I spread it throughout my hair before shampooing. I let it sit for a bit then shampoo / conditioner it out. Since using it my hair has felt more conditioned and it is as if I just went to the salon. Everyone compliments my hair afterwards! Amazing smell, amazing quality and amazing prize for the content. Forever repurchase!!! Cannot live without this hair oil. 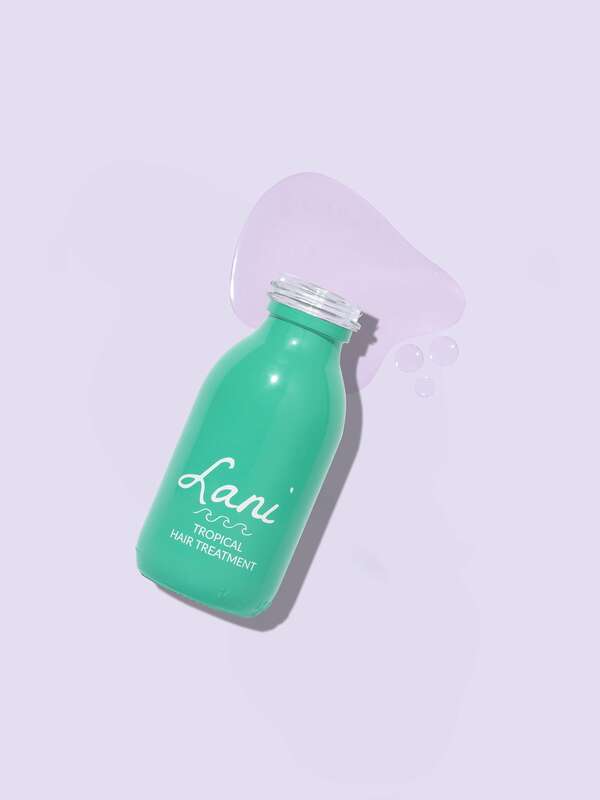 I pop it on overnight or half an hour before I shower and it’s my must pre wash because my hair literally comes to life with this – it feel thicker and bouncy and makes my hair feel stronger. I am at an age now where my hair feels lifeless but not anymore thanks Lani. I could literally eat it too smells amazing. Also pop it on before you go into pool and it will act as a barrier to sea water or chlorine. No more green hair!! I’ve only used this treatment as a leave-in so far, but i absolutely love it. I have dry and damaged hair but the tropical hair treatment makes my hair super shiny and soft. It also tames frizz without weighting my hair dowm. I highly recommend this product! This product blew me away. Heed my words: what’s in this bottle is MAGIC. I had pretty average expectations for this one, not gonna lie. I just haven’t really used anything like this before, and I was like meh, we’ll see. I chose to use this as an overnight treatment for maximum results and I was astounded by the results. This left my hair so soft and conditioned that I did not find the need to use conditioner in the shower, or even leave-in conditioner post-shower. Yes, I’m serious. I was SHOOK. I applied this treatment to the bottom half of my hair and washed the top half of my hair, then applied leave-in conditioner to only the top half of my hair, and my strands were still super smooth and soft! This is automatically a holy grail item, and at only $18.30 USD for 3.5 fl oz, it is an *amazing* value. I’ll be repurchasing forever. I love this product! I have curl hair and I use it as a prewashed mask and finished oil. It provides hydration and shine without feeling heavy. Since I use it, my hair is much softer and the tips look healthier. Is the best!! Love it! Leaves my thick, curly, unmanageable hair soft and silky without making it very oily. The smell also reminds me of warm long nights at the beach. My hair is usually very dry and damaged. Even after using the Tropical Hair Treatment just once, I was able to see my hair improve. They look so much healthier now. Also, all the friends I’ve recommended this hair oil to have been equally impressed! I’ll buy this over and over again. This is such a simple and beautiful formula. The Hair Treatment leaves hair with gloss, bounce, shine and LOADS of moisture. I have fine (albeit a LOT of it), wavy hair and this product does not weigh it down. (That said, if you have VERY fine hair, you may prefer to shampoo twice 🙂 This treatment is also fantastic for dry (or sunburnt) scalps, and is beautiful as a hair protectant prior to water activities (the clean ingredients makes it IDEAL for those of us that want to protect our hair while in the ocean! No nasty chemicals for our salty neighbors). It can even double as a body oil in a pinch! Not only am I hooked on this treatment, but I’ve now gotten a number of friends, family members and coworkers onto it as well. Will repurchase again and again!